Every so often you forgot that the Marquee and Tao installations at the Roundhouse music venue in Camden, North London were more than just really, really good parties. The entrance gave it away a bit, as there were not one but two queues: one for Guests and another for Athletes. Still, you had to remind yourself that an abundance of medals of gold, silver and bronze on the dance floor was not normal in real life; but for the London 2012 Olympics, it just made sense. Co-produced by the TAO Group, Best Events and PMK•BNC, Club Bud put on the most exuberant and memorable parties of the Olympics. 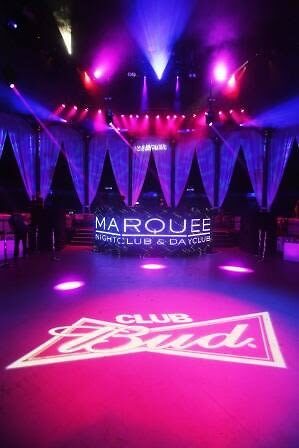 Originally a pop-up venue in support of Team USA athletes and fans, Club Bud gained popularity during the Olympic Games in 2008 and 2010 and will be an Olympic fixture through 2016. 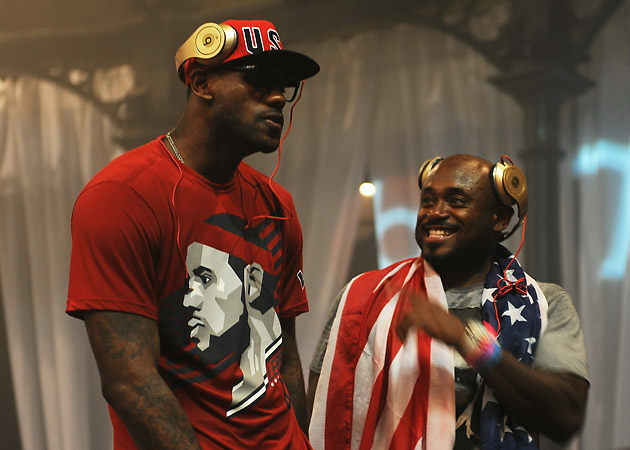 Sunday's party was no doubt infused with American patriotism, but overall Club Bud brought together a diverse mix of athletes from the USA, Great Britain, Brazil and other countries, as well as British celebrities such as Alexandra Burke and Spice Girl Mel B (ahead of Sunday's reunion). Complimentary Budweiser and Red Bulls for all partygoers guaranteed an extended good time. Musically Saturday night was dance heavy, with English electronic DJ Gareth Emery getting top billing. 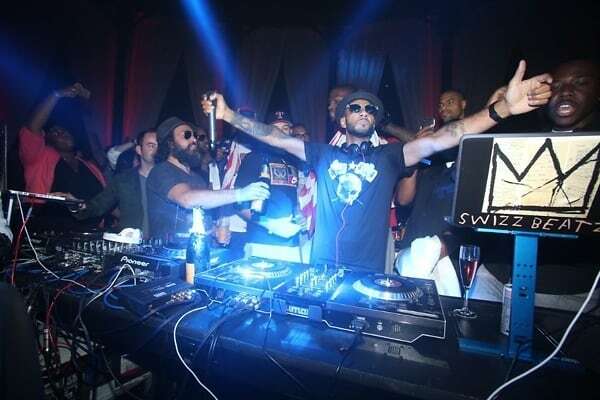 Sunday night was definitely something out of New York or Vegas, as the DJs, climaxing with Swizz Beatz, predominantly spun classic and current hip hop. The crowd started to fill up as soon as the Closing Ceremony had finished its broadcast, but it wasn't until the gold medal winning stars of Team USA Men's Basketball showed up around 2am that the house went wild. 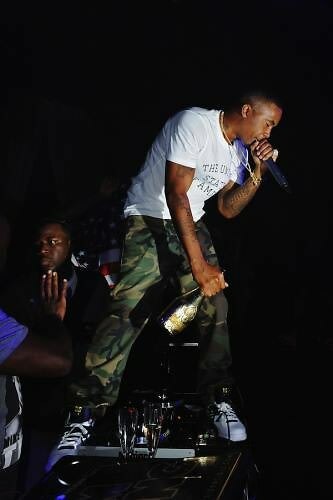 Nas appeared from the very crowded VIP section to close out the show with a surprise performance while the USA basketball team, most notably Kobe Bryant, Carmelo Anthony and LeBron James, revved up the crowd behind Swizz, drinking champagne and Patron straight out of the bottles.